INTERNET: Internet service and WI-FI hookup is available at a variety of locations in Sayulita. Internet cafes with multiple computers charge about $20 pesos per hour if you are traveling without a computer. 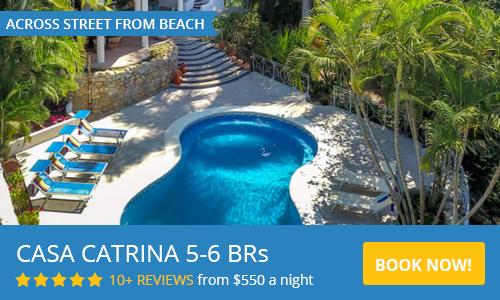 Many Sayulita vacation rental houses provide phone lines and wi-fi. There are also computers available at Libreria Sayulita, the village's local bookstore. There are several Wi-Fi hotspots in Sayulita restaurants and coffee shops; when you place your order, ask for the password. Yah Yah Cafe, ChocoBanana, and El Espresso, are some of the most popular spots, and all are centrally located around the plaza. LAPTOP CARDS: Telcel has launched a new type of high-speed Internet card that you can plug into your laptop and receive Internet access from anywhere in Mexico that has cell service. This is a relatively new product and details are limited. The cost is only about $15 pesos ($1.50 USD) per day. PAYPHONES: Payphones were installed in Sayulita in 2003 and use phone cards that can be purchased in most of the stores in $30, $50, or $100 peso values; ask for a Telmex phone card for public phones as opposed to a Telcel cell phone card. Calls to the USA or Canada from Sayulita are $5 pesos/minute. BE AWARE: Phone cards sold in the USA or Canada rarely work here in Mexico. CELL PHONES: You will need to special order international (Mexico) service for a USA/Canada cell phone before arriving in Sayulita Mexico. Please check with your carrier for details. Also please note that your cell phone may not reflect the right time in Sayulita, which has changed to be in the same zone as Puerto Vallarta. Ask a local for the time when you arrive and set your phone accordingly to avoid confusion and missed appointments. Long term visitors may find it more cost effective to purchase a very inexpensive local cellphone (less than $30USD), with a pay as you go plan. You can add minutes at the local convenience store (OXXO). Alternately, if you have an unlocked GSM phone, you may be able to purchase a Mexican SIM card and use a prepaid phone plan. You must add minutes before your phone will work, which can easily be done at convenience stores, gas stations etc. Once you add minutes, your phone will work and you are connected.